If like me you struggle to find something for the men if your life for Christmas then this product be the perfect solution! Brewbarrel is a kit which enables you to brew your very own beer/lager in just 1 week and with 100,000 flavour varieties to choose from there is sure to be something for everyone. We were sent one of these simple home brewing kits to try and I asked my dad to help out with this review as I knew it would be something he would love. We tried the Lager Experimentation kit which came with Passion fruit, Grapefruit, Lemon, as flavourings to add. 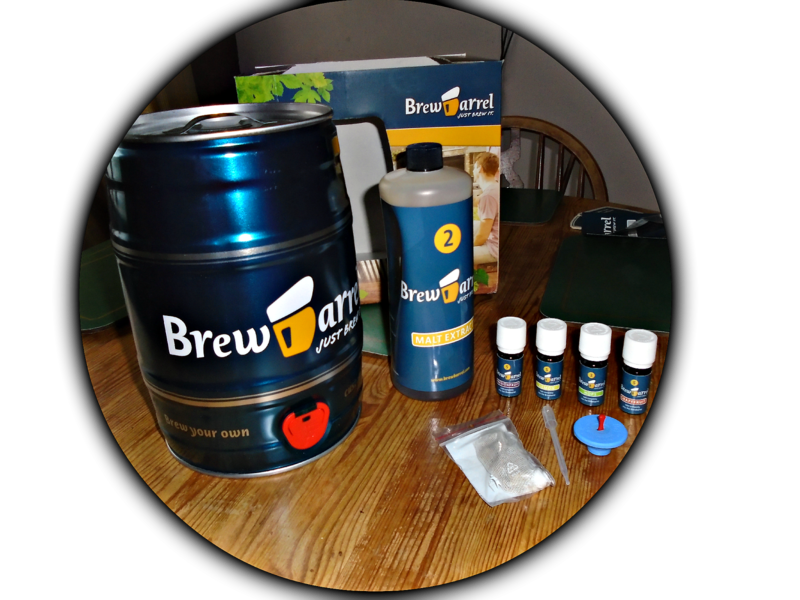 When you receive the Brewbarrel Home Brewing Kit it comes with all the ingredients you need (hops, yeast, malt and depending on which kit you choose natural flavors). Everything is perfectly weighed and packed to your order so no measuring or weighing is needed. You also receive simple, step-by-step instructions and a pressure control valve, as well as three drip mats. In just a few quick and easy steps, you will be able to prepare your beer for fermentation and in just 1 week it will be ready to enjoy. We set out to make out lager which using the easy to read and illustrated instructions was simple, quick and took around 10 minutes from start to finish! Do be sure to read the instructions carefully though as it tells you how many bottles of water you need to add etc as its important to get these right. As it comes with 3 different flavourings you can make up a simple plain lager with your Brewbarrel kit and then with the pipette provided carefully add drops of each flavour to your pint until you reach your perfect flavour combination! The Brewbarrel kit once made needs to be left to ferment and brew so it should be left at room temp for 5 days and then in the fridge for 2 more days. Then your brew is ready to enjoy! 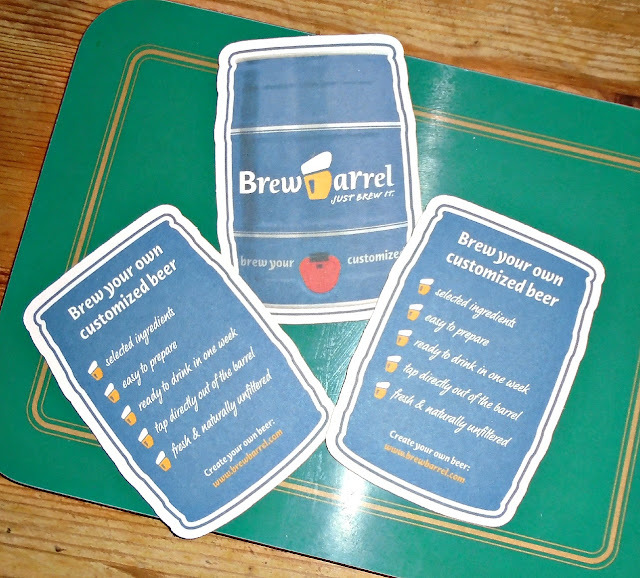 I think the Brewbarrel is a great idea and the perfect gift for any man (and woman of course!) who enjoy lager or beer. 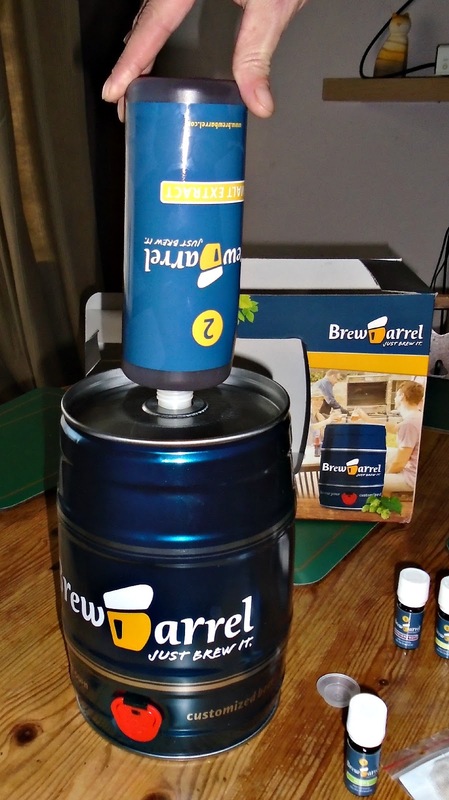 The Brewbarrel is priced at around £27.50 which I felt was a very fair price for this fab kit. My dad really enjoyed it too he loved the idea of making his own lager and being able to flavour it exactly as he wanted to which is why the experimentation kit is fab as you can really experiment with all the different flavourings. 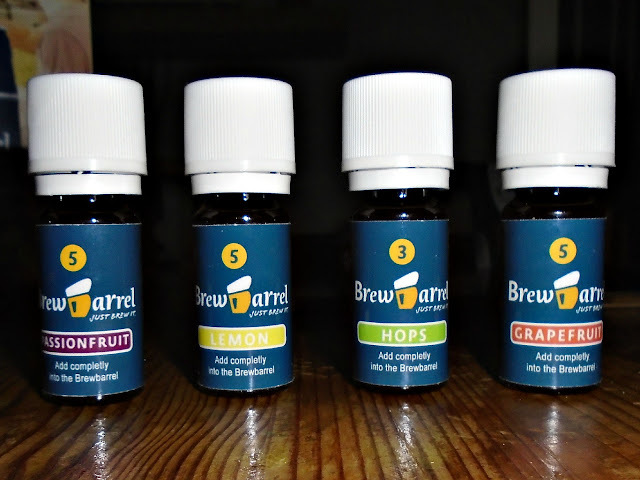 Check out the Brewbarrel website to see the full range of flavourings available, which kit would you choose?